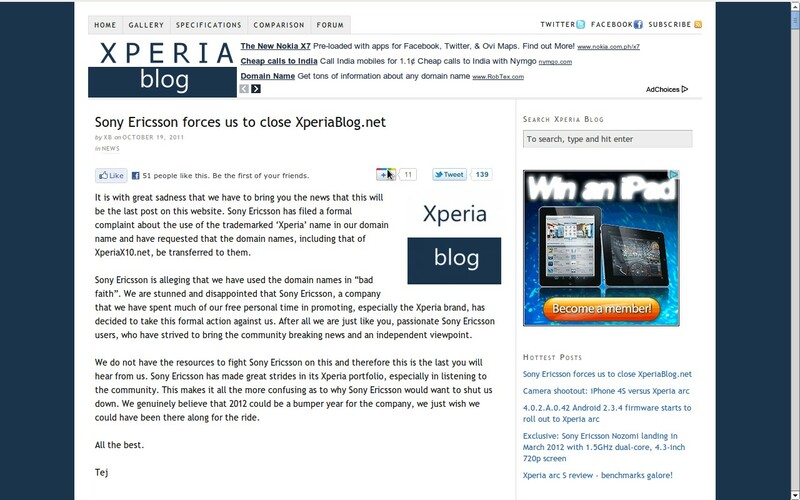 We got this sad piece of information from TechCrunch: Sony Ericsson Forces A Fan Site Into Submission. It is with great sadness that we have to bring you the news that this will be the last post on this website. 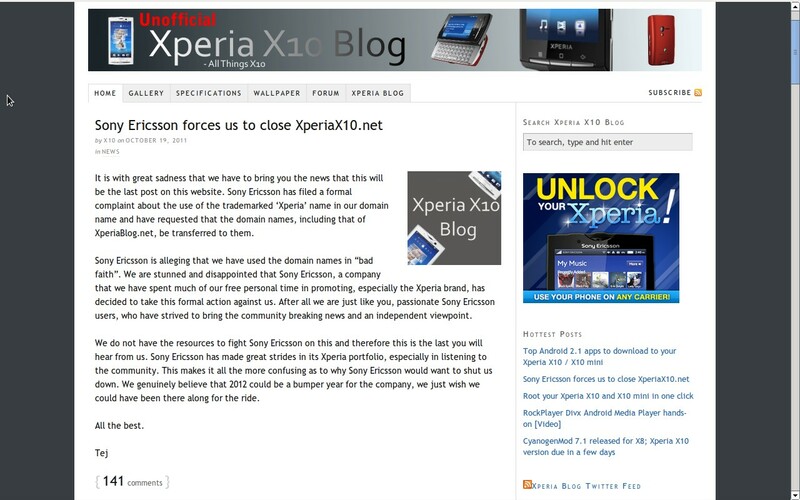 Sony Ericsson has filed a formal complaint about the use of the trademarked ‘Xperia’ name in our domain name and have requested that the domain names, including that of XperiaX10.net, be transferred to them. 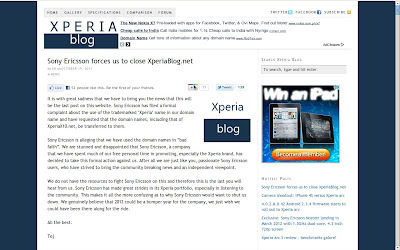 If Sony-Ericsson is not fond of the free publicity it gets from blogs and fan sites, I am very willing to accommodate them. 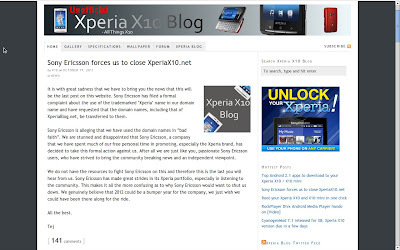 We wont be using the word Xperia in this blog after this article, hence we wont be covering any products which have that as part of its name. Imagine Apple sued sites it numerous fan sites which use the word Apple or Mac as part of their name or if Google sued the fan sites and forums that use Android as part of their name.